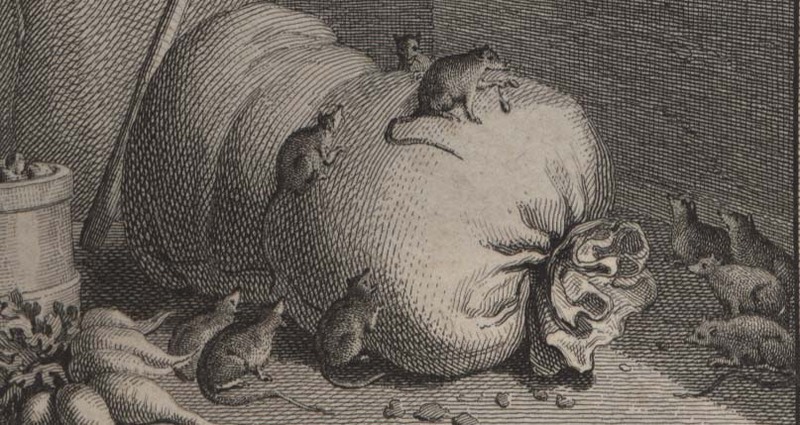 We also learned that we have Rats, or rather, Histoire des Rats by Claude-Guillaume Bourdon de Sigrais, published 1737, containing this gorgeously creepy engraving (detail). 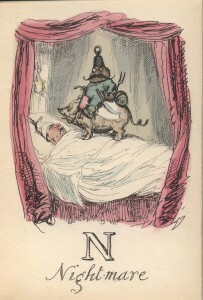 A digital facsimile of Rats is available from Google Books A digital facsimile of Rats is available from Google Books. 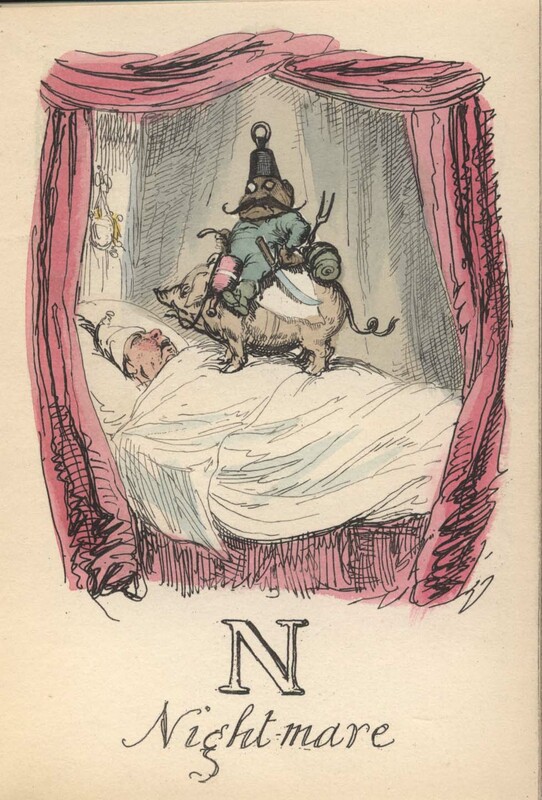 And if that illustration wasn’t enough to give you a nightmare, here’s a different kind of nightmare for you, from another recent discovery, George Cruikshank’s Comic Alphabet (1837). (We have many other alphabet books, including a popular pop-up.) 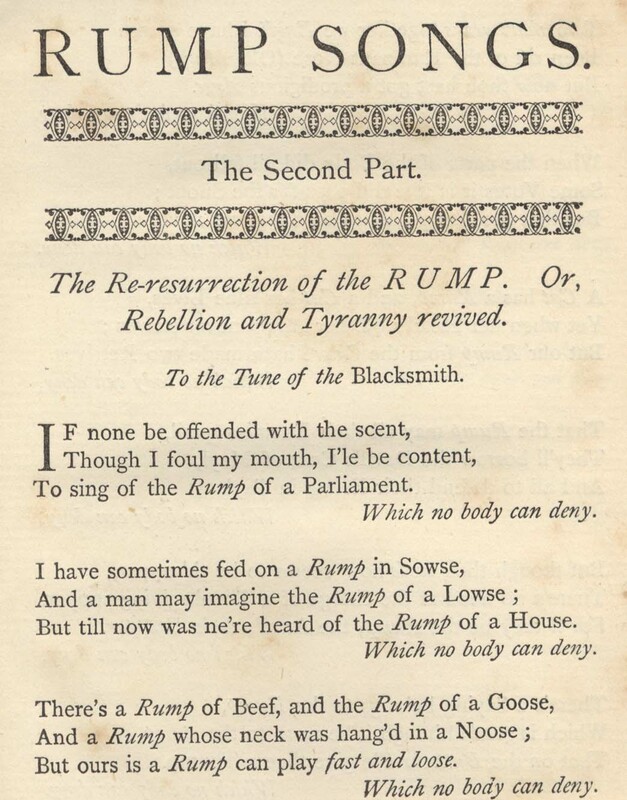 A full version of the Cruikshank is available digitally here. 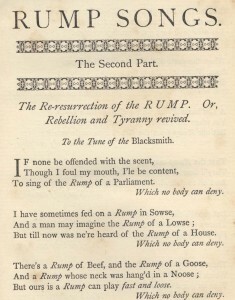 This entry was posted in new attention on old item on November 22, 2013 by ccspecialcollections.